I know it's summer and everybody likes to think about vacations rather than about work. But what if I told you that at your workplace, you're the boss. You get to hang out in a really beautiful new office space in a Bushwick loft; you don't have to commute to Manhattan like a sweaty sardine on the L train; you can drink all the organic coffee you want; and oh, there even is a relaxation room for those drowsy moments shorty after a lunch break; outdoor terrace and craft beer for days when you really wanna take it nice and mellow.... 'Cause you're the boss! Yes, that's what the life of a self-employed Bushwick dude/dudette is like. Especially, since the new coworking space Brooklyn Desks opened on the ground floor of Cheap Storage loft building on 49 Wyckoff Ave. A couple of days ago, I got to hang out with the owner Joe Mitten and the space manager Ariella. 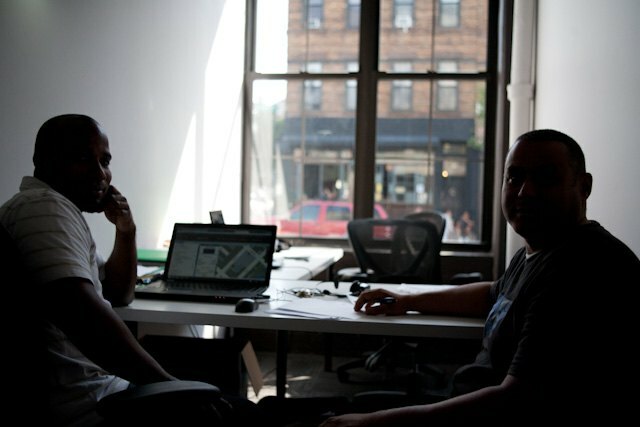 These guys have done quite an amazing job converting the industrial space into a pleasant working environment. The furniture is really nice (think reclaimed wood meets top notch modern design) and they are slowly putting some last touches onto the space. Ariella told me that not too many tenants have signed up yet for an office space or a chair in the coworking area (they opened barely a month ago), so you still get to choose that corner office with the view of... Heavy Woods bar. Brooklyn Desks is the second coworking space to open in Bushwick, and while we still really love Bushwick coworking pioneers over at Bat Haus (opened in 2012), Brooklyn Desks is a little bit different. 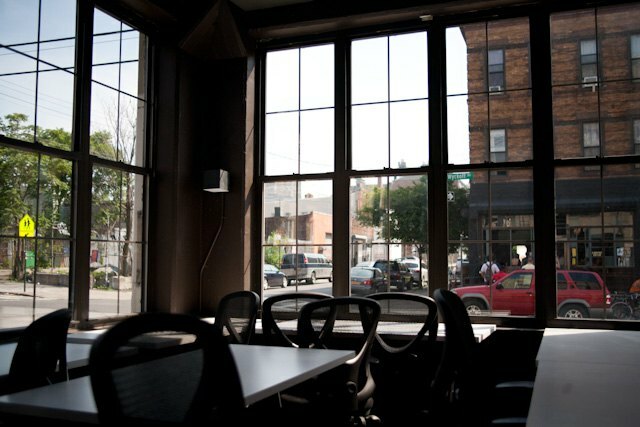 Unlike Bat Haus where you can rent chairs or private desks, Brooklyn Desks offers primarily private offices, so it is a great addition to the neighborhood for small companies and startups of all kinds. So do you run your own business and you need a beautiful new office space to represent your work on the level you deserve? 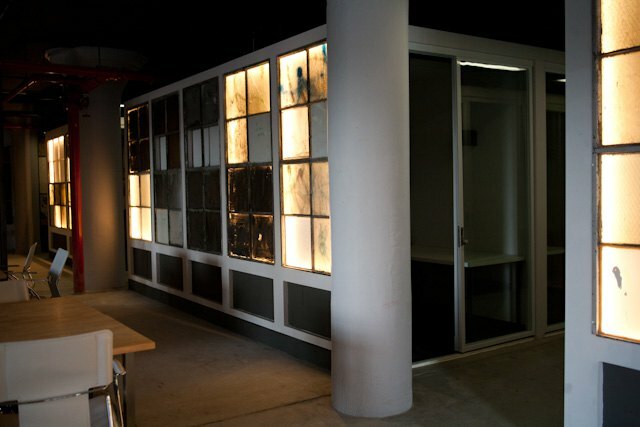 Email Ariella (ariella@brooklyndesks.com) and schedule a viewing to see for yourself! And if you're an employed person daydreaming about starting your own business, my recommendation is to just do it! Not only you we now have Brooklyn Desks in Bushwick; also life is too short to spend it working a job you don't love! Check out the books The $100 Start Up and Creating Money to give you a boost on your journey! Sign up for Bushwick Entrepreneurs Club to see you're not the only one feeling the way you feel, or shoot me an email because this is something I simply love to talk about! Good luck!